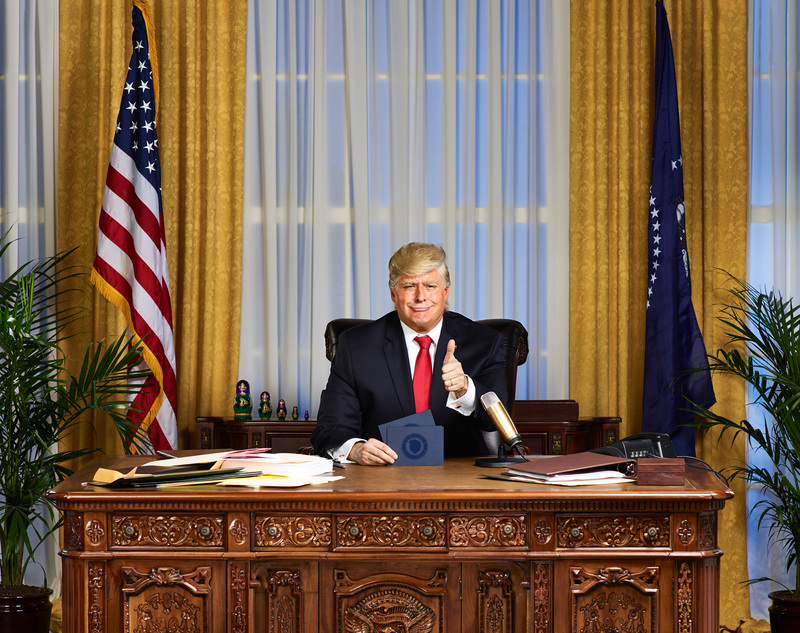 Singapore, 10 January, 2018 — Continuing in Comedy Central’s grand tradition of producing groundbreaking late night formats, comes The President Show. Created by Anthony Atamanuik who hosts as Donald J. Trump, and produced by Clone Wolf Productions and 3 Arts Entertainment, this weekly, topical series gleefully tosses out the rulebook of its predecessors. The audiences will be in for a surprise when Trump enters the fray to address the nation. 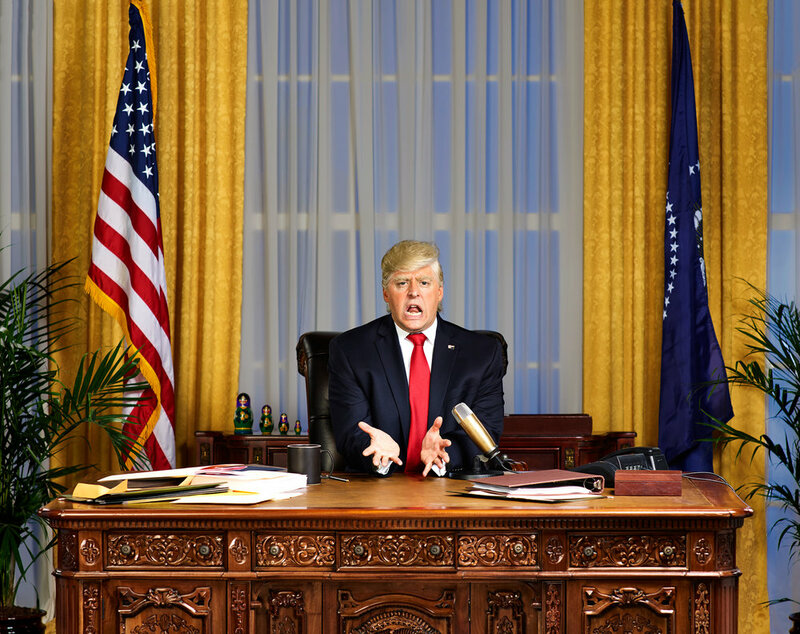 The President Show brings television back to the people – by putting a plutocratic billionaire behind the desk. Premiering 16 January, The President Show airs every Tuesday at 9:55PM (WIB, TH) and 10:55PM (SG, MY, PH, TW, HK). In the world of The President Show, Trump is bypassing the crooked media by hosting a late-night show direct from the Oval Office. There will not be unfair questions from reporters, no awkward photo ops with German ladies, and no bedtimes. This will be a fun show where he can put his unique Trumpian spin on these late-night staples such as desk segments, field pieces and guest interviews. Vice President Mike Pence, played by Peter Grosz, is also featured as his sidekick. Anthony Atamanuik has received critical acclaim and a fervent new fan base with his pitch perfect Donald Trump impression and was honored as one of Variety’s “10 Comics to Watch” at the 2016 Just for Laughs Comedy Festival in Montreal. He has also performed as Trump multiple times on The Howard Stern Show, ABC’s The View and the CNN Newsroom, in addition to his solo performance of “Trump Dump” at the UCB New York City Theater, SXSW Festival, and Moontower Comedy Festival. 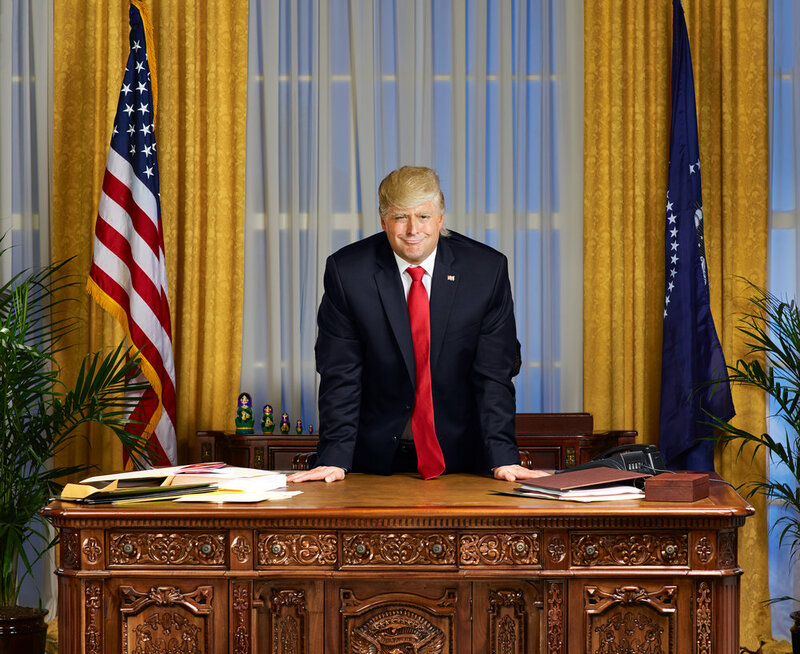 The President Show is executive produced by Anthony Atamanuik, Peter Grosz, Adam Pally (Making History, The Mindy Project, Happy Endings), Jason Ross (Any Given Wednesday with Bill Simmons, The Tonight Show with Jimmy Fallon, The Daily Show with Jon Stewart), and 3 Arts Entertainment’s Olivia Gerke, Josh Lieberman, and Greg Walter. J.D. Amato serves as Co-Executive Producer. The series is produced by Pally’s Clone Wolf Productions and directed by Andre Allen. Sarah Babineau and Ari Pearce are the Executives in Charge of Production for Comedy Central. Comedy Central, the world’s biggest comedy network, has been making audiences laugh since it first launched in the United States in 1991. Renowned for featuring a stable of exclusive and tailor-made local and international comedy, the brand has become the ultimate destination for all kinds of humor, from traditional to satire to sketches to popular sitcoms. Outside of the United States, Comedy Central, seen in over 70 territories via more than 12 locally programmed and operated TV channels, is part of Viacom International Media Networks (VIMN), a division of Viacom Inc. (NASDAQ: VIA, VIAB), one of the world’s leading creators of programming and content across all media platforms. For more information about Comedy Central in Asia, visit www.comedycentralasia.com.